These four friends are off to Tanzania for an expedition to the top of the African continent – Kilimanjaro. Their trip will take them through an old growth forest, across the spectacular and remote Shira Plateau, and through the alpine desert as they climb to Kilimanjaro’s Uhuru Peak. 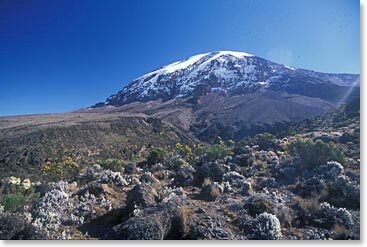 They will camp below the impressive northern ice fields and will spend a night sleeping in the crater above the clouds. Follow along as they quest for the summit!